Through this Bottle RoboSumo, students can learn multiple STEM subjects such as physics, math, gears, logic, mechanical engineering, computer programming, and engineering design process by DOING. Especially, the introduction of an additional target object (Bottle) makes the game more challenging and minimizes the random chance of winning. Space is limited to only 10 teams. Registration fee is $30. This camp is only for rookie teams. Please submit a New Coach Registration form. After this form is submitted, you will receive an email with your coach ID. You must confirm the coach registration e-mail by clicking a link in the email; otherwise the coach registration has not been completed. If you do not receive the confirmation email, please check your spam folder. If you did not receive the confirmation e-mail, contact [email protected] to resolve the problem. 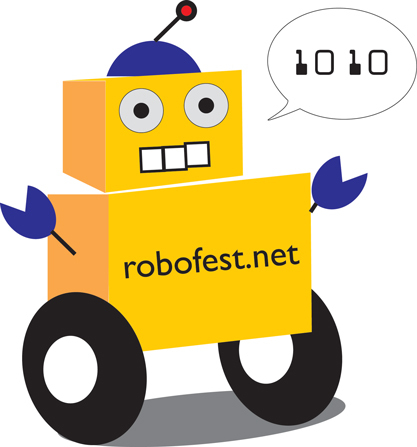 Go to www.robofest.net/rms and log in to the Robofest Online Team management System. Select Detroit_CWM_MI_SumoCamp site, then you can enter up to 3 team members for each team. Pay $30 registration fee. Each team member as well as the coach must bring the signed Robofest Consent and Release Form on the day of the camp competition. Rules for May 17, 6:30pm~9pm Competition at LTU. Note an important change: only LEGO NXT controller and motors are allowed. Team registration fee is $30. Pizza dinner will be provided for coaches and team members. To register teams, go to 2013 page. Site name is "BottleSumo_LTU".